HQ Aviation, the very successful British helicopter training school and maintenance centre has expanded its list of approvals through its appointment as a Rolls-Royce RR300 Authorized Service Center. Engine manufacturer Rolls-Royce today at Heli-Expo 2019 officially confirmed HQ Aviation has joined the RR300 Service Center network, which offers global, approved maintenance support to RR300 powered Robinson R66 operators worldwide. HQ Aviation was assessed by H+S Aviation, who have been given delegated rights by Rolls-Royce to ensure compliance with the engine manufacturer's requirements. This approval expands on HQ Aviation's relationship with Robinson Helicopter Company. HQ subsidiary Global Rotors, based in Scotland, are dealers for Robinson and HQ Aviation are an approved Robinson Service Center for R22, R44 and R66 models. The Service Centers provide maintenance, inspections and parts sales directly to operators. 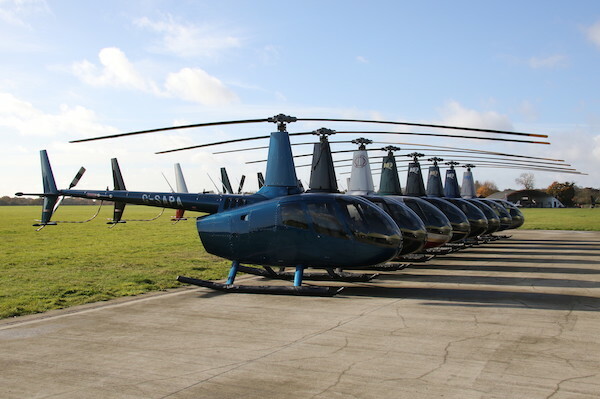 HQ Aviation already maintains the biggest Robinson R66 fleet in Europe, and has many connections across the globe with other R66 operators. Service Centers are capable of providing a broad range of engine support including services offered by under the Rolls-Royce TotalCare® program. HQ Aviation maintains a total of 61 helicopters, and thus plays a pivotal role in supporting a number of training schools across southern and central UK. HQ Aviation is based at Denham Aerodrome, close to London's Heathrow Airport, and celebrates eight years of operations this month. HQ's flying school trains pilots to private and commercial licences, and offers other ratings including type conversions and night flying approvals. The company's maintenance department covers a range of helicopter types, with particular focus on the full Robinson range, and carries out the highest quality rebuilds on calendar or time expired machines. The Rolls-Royce RR300 FIRST network (Fully Integrated Rolls-Royce Support Team) is the only authorized global support network for operators of RR300 engines, providing affordable, reliable, quality solutions on six continents.